I don't generally blog about subjects like this, but I hope that someone might find this useful as most of the solutions I found on the subject I found either useless or half-arsed at best. Ok, so this is the scenario. 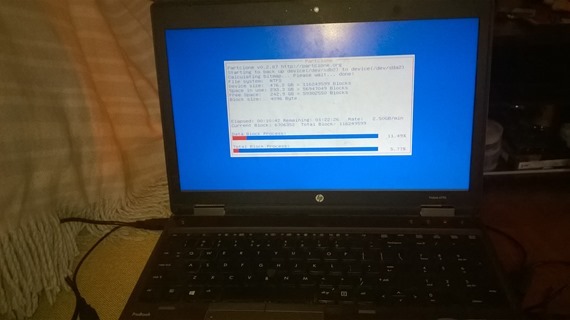 I currently do most of my day to day work on a HP ProBook 6570b, but recently it suffered some hard disc failure, which forced me to borrow an even older lower spec machine (wanted to chew my wrists off at a stage out of frustration), while our IT department sorted the laptop out for me. Last Friday I finally got the laptop back, now boasting a brisk 500GB SSD drive and an additional 4GB of RAM, sweet! According to the "factory" specifications, the laptop ships with Windows 7 PRO, so I opted to do the "free" Windows 10 upgrade, but as I attempted the upgrade the software informed me that Windows wasn't activated yet, so I went to the activation screen and got the following popup. 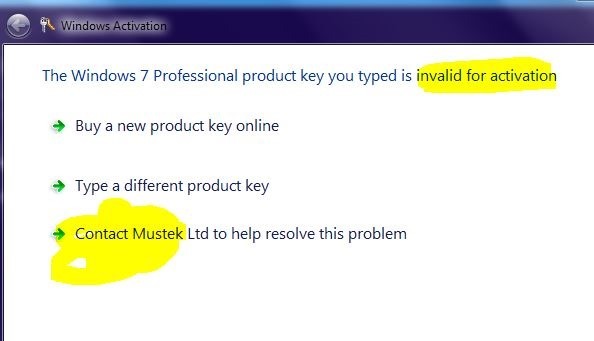 The technician installed an OEM onto the laptop that ships with a Mecer laptop (brand operated by a company called Mustek, they stick proudly South African stickers onto Clevo laptops - the only South African part is the Mecer logo and that is probably printed in China as well). I almost cursed all the gods and then I remembered seeing a recovery option on my startup menu (F11), but for some reason that was missing, after doing some research, I found that instead of giving you proper recovery discs, HP (and others) allocate partitions on your hard drive for recovery data (extreme cost cutting measures?). Obviously these partitions won't be available on the new SSD drive. One option is to order recovery discs - something which I feel should have been included with the purchase of the Laptop in the first place (WTF HP? ), the second option is to attempt to clone the recovery partitions onto the new SSD drive. Luckily the recovery partitions were still intact on the old damaged drive, which I cloned back onto the new drive using an open source clone application called Clonezilla. Magically the recovery option reappeared on my startup menu list. A lot of the forum posts claimed that one cannot restore a partition to a different size drive (in my context both drives were the same size), but this is not completely true. Obviously if your source drive contains more data than your target drive that would be true, but quoting the Clonezilla documentation. use option "-k1" which will create the partition table proportionally in the target disk and turn on option "-r" to resize the file file system in the partition automatically. This is useful to make use all of the target disk size. Not a pretty solution (desperate solution), is there a better way to solve this problem though if anything happened to the new drive? 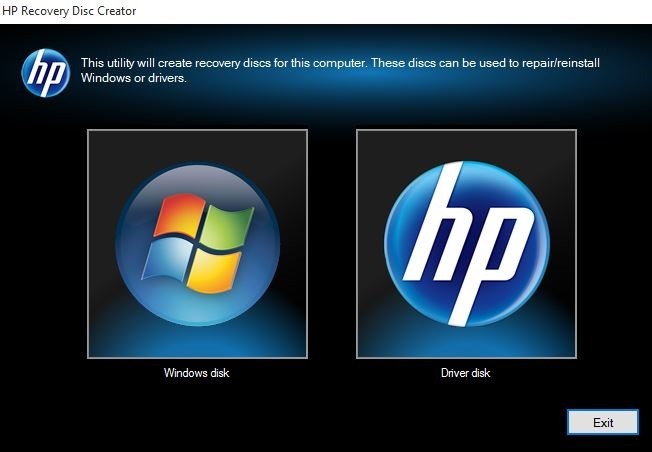 Yes there is, HP provides a "Recovery Disc Creator", which copies the recovery partitions to bootable discs, like seen in the image below. I would advise that while you're still able (lucky enough) to create a proper recovery disc, do so immediately. And like mentioned previously, this isn't a HP specific practice, e.g. my girlfriend recently bought a new Lenovo Laptop which follows the exact same mediocre methodology, note to self, create a Lenovo recovery disc ASAP.